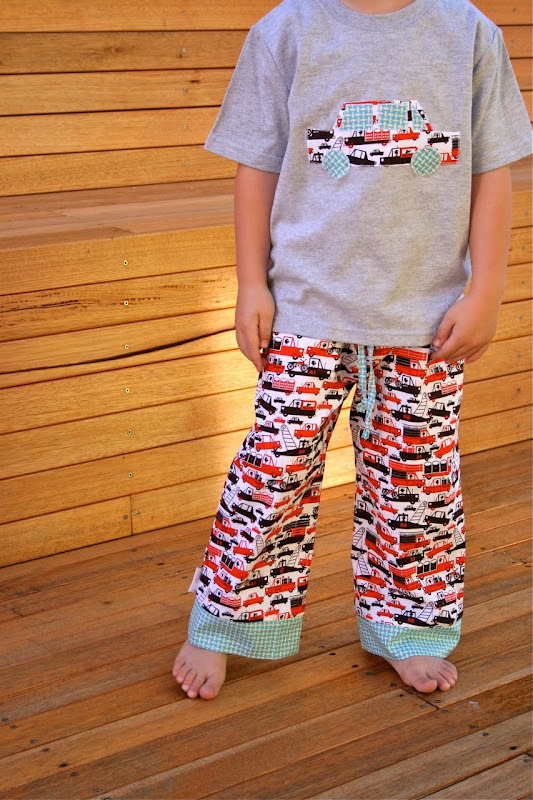 make it perfect: .Monster Truck PJs. I'm having a little PJ sewing obsession at the moment. 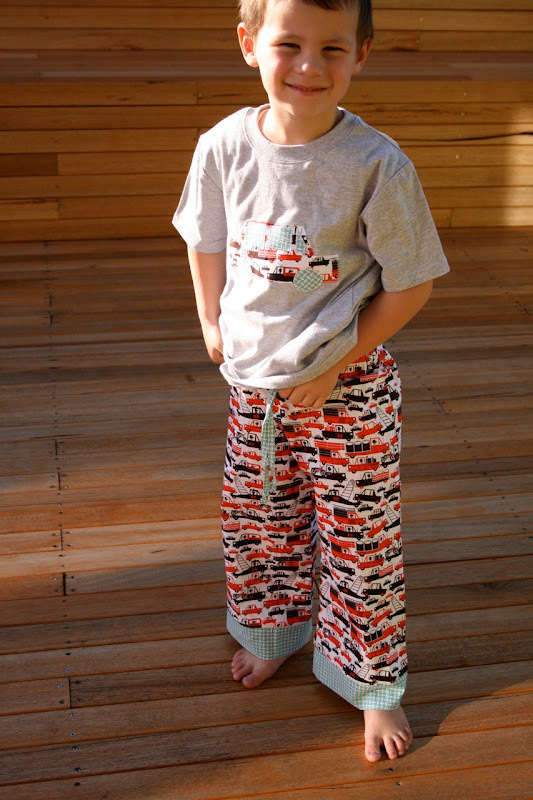 Last week I made my nephew in Sydney a pair of Slumber Party Jammies for his 4th birthday. I love these for a quick present and make sure I always keep a selection of boy-friendly prints in my stash ready to make a last minute gift. My sister-in-law told me that when he opened it he exclamed, "Look, Mum - Monster Trucks!!" - so cute!